The Junior+ is one of the latest seating systems from Jenx, building on the highly popular Junior system and offering increased comfort for children with disabilities. The Junior+ offers highly flexible supportive seating for children from 18 months - 12 years. An outstanding level of versatility is achieved through a wide variety of head, trunk, leg and foot support options as well as a choice of bases, meaning each Junior+ can be exactly tailored to the needs of any individual child. The contoured seat unit constructed from super-soft polyurethane and memory foam provides unparalleled comfort and the perfect base for true pelvic stability. Created in conjunction with children, parents, therapists and care staff, the Junior+ has been thoughtfully and carefully designed to meet a wide range of needs - meaning every child can be comfortable and perfectly supported, allowing them to get on with playing and learning. A simple headrest for children who require minimal head support. Used to encourage arms into midline and prevent excess retraction. Flip away when not required and are independently adjustable for height, width and angle. Made from flexible and hygienic PU these trunk support pads are easy to attach and adjust. Available in -- sizes with each size available as a wrap around support with adjustable chest strap or shorter prompt support without strap. Single handed squeeze button flip away action on all supports, and independently adjustable for height and width. Can be off set to brace a scoliosis or accommodate other skeletal deformities. Optional matching covers also available. Flexible PU pads act as a wrap around support with adjustable chest strap. There is a single handed squeeze button flip-away action on all supports for easy transfers. Independently adjustable for height and width. Can be offset to brace a scoliosis or accommodate other skeletal deformities. Attach, detatch and flip away in seconds with a single hand. Additional positioning support to childno tools required. Makes moving equipment safer and easier for carers, flips away in seconds when not in use, is height adjustable and has a padded foam handle. Compatible with seat unit sizes 1, 2, and 3. 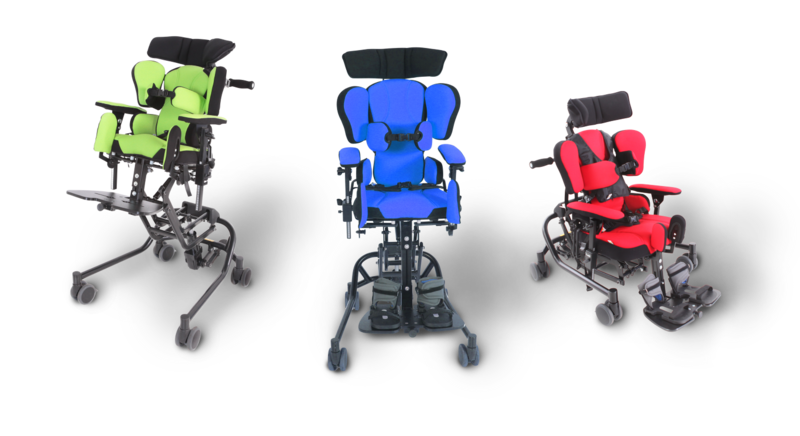 The arm rests are independently adjustable for height and angle. Clear markings on the armrests make them easy to set to the correct height. Padded armrest covers are available. Arm rest mounting brackets are required for attaching them to the Multiseat. Useful surface for work, feeding or play. The Jenx tray is made from antibacterial plastic providing a hygienic and easy to clean surface. A contrasting tray edging gives a definitive boundary useful for users with visual impairments. Available in two sizes and requires armrests for use. The Jenx tray infill is designed to allow attachment suction toys, anchors, or grab bars. Extra cushioning for the tray top, attaches simply with Velcro. Covered in wipe-clean PU fabric (Image shows half tray padding). Please note, tray padding is not suitable for use with Tray Infills (3610-7180-000, 3610-7182-000). Please note, this can only be used in conjunction with the tray. For use with the Jenx Bee, Jenx Atom, Jenx Junior, and Jenx Junior+ indoor seating systems. The activity frame encourages head control and hand to eye coordination. It is easy to attach and adjust with two clips for attaching toys or other items. This can be used with the Junior, Junior+, Multiseat, Bee, Atom, and Monkey. Used to encourage arms into a midline position or to block excessive retraction. Medial Knee Support to fit the Junior, Junior+, Multiseat, Bee, and Atom. It is available in three sizes providing different levels of abducted seating. Size 0 is shown on the left, and size 1 & 2 is shown on the right. Hip width reducing pads to use with standard hip pads to reduce width of seat. The Jenx unique leg control pads allows control of leg position independently of pelvic position. You can create abduction or adduction or control windsweeping. The pads can be flipped completely out of the way to facilitate smooth and easy transfers. Sold in pairs and need to be attached and used with leg control brackets. The Jenx footplate pad attaches to the footplate providing a soft surface for those who have trouble with more structured foot positioning. Available for every size of Jenx sandals the raising block kits* give the sandals that extra bit of height where needed! Use 1 set to accommodate for leg length discrepancy or use 2 sets to raise the height of the footplate on any product to maximise the available growth. *NB. One kit needed per individual sandal. An optional foot accessory option to the standard sandal. Ankle Snug offers a unique magnetic buckle fastening mechanism, which can be operated single handed. For use with Jenx Sandals. The five port Back Extension Post gives extra height to the Back Pad for those who require it. Provides extra length on one side of the seat for children with leg length discrepancy. Please note, it cannot be used in conjunction with leg control pads. Compatible with seat unit sizes 1, 2, and 3. IMPORTANT INFORMATION: Please be aware, some minimum and maximum measurements are achieved by the use of additional accessory components.